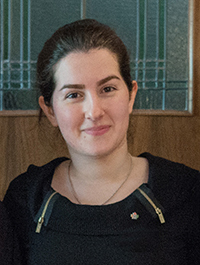 Ferya has a Bachelor’s degree in Civil Engineering and a Master’s degree in Structural and Earthquake Engineering from the University of British Columbia. Ferya has experience working as an Engineer in Training, specializing in concrete design of building members. She also has research experience in the determination of modal properties of different concrete shear wall buildings, as well as foundation rocking of high-rise buildings in Vancouver. Ferya brings to IC-IMPACTS a blend of scientific and professional experience in engaging with a variety of stakeholders. In addition to her scientific background she has helped organize different conferences, including managing budgets, programs, event scheduling, websites, and manuscript review processes. Ferya values collaborative cross-functional relationships and demonstrating research capabilities into communities; she sees diversity as an opportunity and is focused on achieving the best possible outcomes.